Marble is literally a classic favorite. Mention Greek architecture and the first thing in your mind’s eye is marble columns. Roman sculptures? Marble. Marble has been a favorite in decoration and even flooring since ancient times, in part because of the gorgeous, unique look and variety of colors it can be found in. Marble tile flooring is an elegant addition to any home, but it’s not always the right answer everywhere, particularly in high-traffic areas. We wouldn’t suggest, for example, a marble tile floor in a mudroom or an entryway where people walk in with muddy, dirty, or wet footwear. Marble, you see, requires maintenance. While it’s really not all that difficult to clean, it does require that you keep it clean, otherwise you risk staining and scratching, neither of which is terribly easy to fix. You definitely don’t want to put heavy furniture on it that might get moved around. If a marble tile becomes too damaged it will need replacing, and it’s very difficult to get a good match because different batches of marble have different looks and characteristics. If you’re in love with the clean white look of marble tile flooring, ceramic or porcelain tile might be a good alternative. Or if you like the stony look of marble, maybe granite would be a fitting substitute. We are by no means saying you shouldn’t use marble tile; there’s really nothing like the timeless class you get with marble. We’re just saying that before you set your mind on marble, consider where you’re putting it and how well you’ll be able to maintain it. 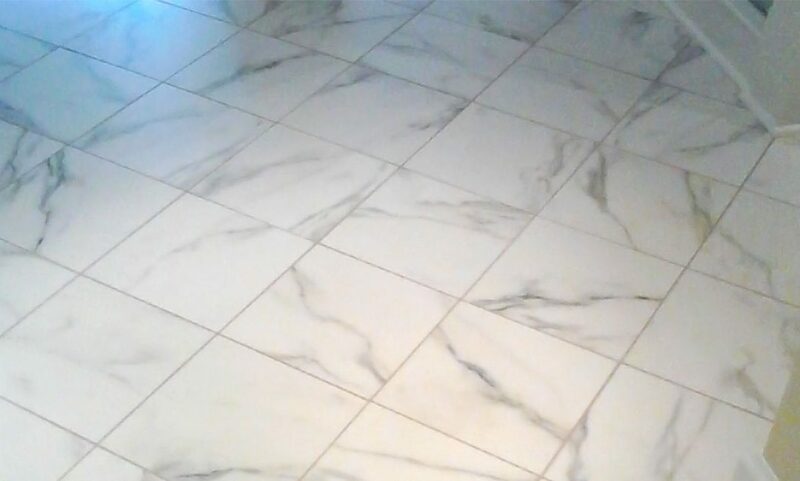 If you’re thinking about doing a marble tile floor and you’re not sure what kind of wear and tear you’ll be putting on it, give us a call to discuss. We’ll be happy to consult with you and give you alternate ideas if marble tile flooring isn’t actually the right choice.